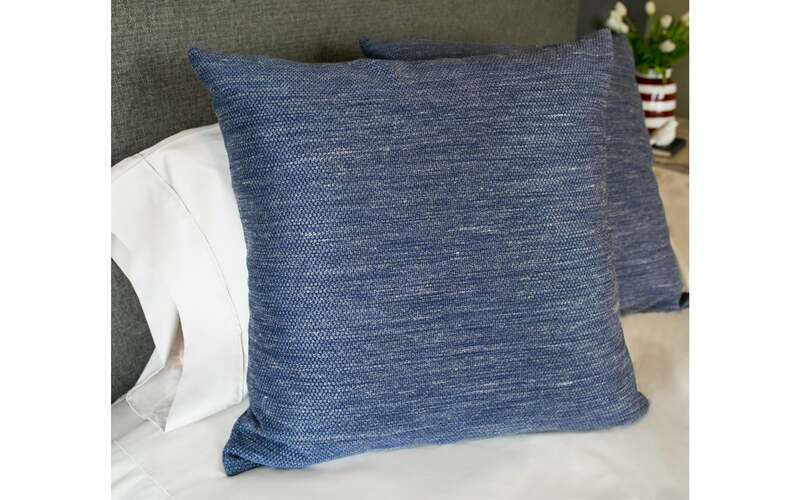 This beautiful tweed texture in a classic shade of Navy is the right combination for a pillow that seems like it was created for just about any room. This durable pillow is available as a 18" x 18" and a 26" x 26" cover with zipper closure, and also with insert (see below). 18" x 18" 26" x 26"